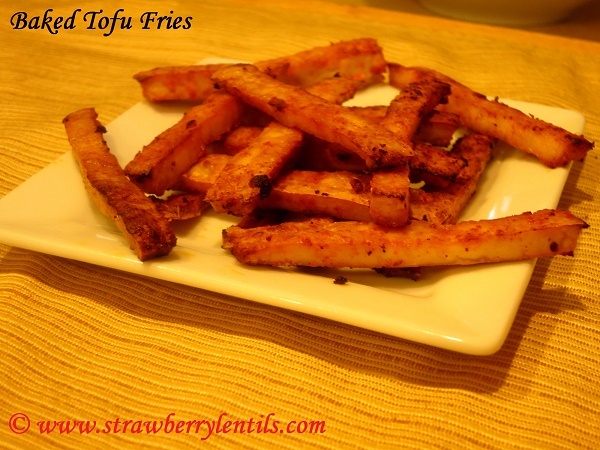 Posted on December 10, 2013 by strawberrylentils	• This entry was posted in Apetizers, Fusion, Sides, Snacks, Vegetarian and tagged baked fries, baked tofu, baked tofu fries, French fries, fries, tofu, tofu fries. Bookmark the permalink. I love tofu, and like Sonal said, it’s excellent dipped in soy sauce. But I usually fry them, so I’ll give your bake method a try. My daughter, who’s an “almost vegetarian”, also likes tofu. My son and hubby, not so much! 🙂 I need to train them, lol. XOXO, Angie. 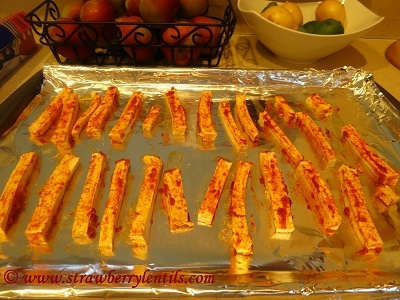 These sound amazing and look just like sweet potato fries! Another super idea from you 🙂 From making no dal quick sambhar, to baked tofu .. your recipes are bookmarked most of the time. Trying it out soon. 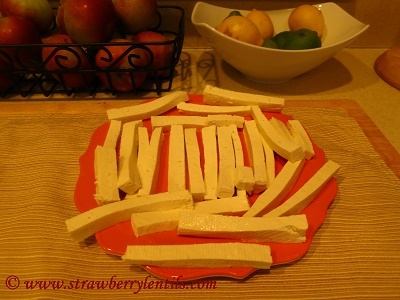 Wow!… baked tofu… very interesting. 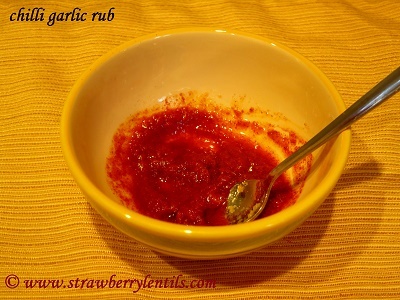 I normally roast them on a tawa marinating with tamarind extract and other Indian spices. Yours is quite new for me. Thanks ! I am going to try the tamarind marination, it sounds yummy.